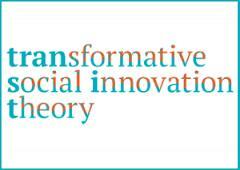 (15 December 2016) – TRANSIT (TRANsformative Social Innovation Theory) has just published the December 2016 edition of its newsletter. Though autumn is an unavoidably busy time for many, the TRANSIT researchers have been in overdrive, pushing forward their work on transformative social innovation and inching ever-closer to a final theory, which will be published next summer. The lion’s share of recent efforts has been devoted to the meta-analysis of 80 cases spread across no fewer than 25 countries. The researchers have been populating a database with nearly 500 critical turning points from these cases, as a means of better understanding how social innovation can become transformative.